David Felts is a Managing Director of TM Capital Corp., headquartered in our Atlanta office. David’s expertise encompasses a range of transaction types and spans industry verticals including textiles, building products, consumer / retail and industrial services. 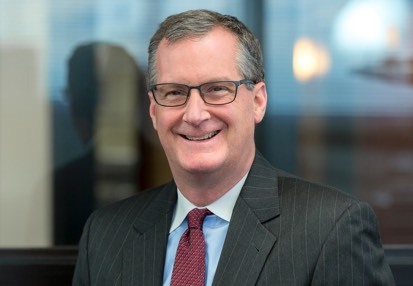 He is highly regarded as an architect of portfolio company divestitures for many well respected middle market private equity firms and is a frequent panel speaker at middle market M&A industry conferences. Prior to joining TM, David was a Managing Director at Brookwood Associates, where for over a decade he focused primarily on middle market M&A advisory. Previously, he was a founding partner at Equity Capital Partners and a Director at Prudential Securities Investment Banking, where he spearheaded the growth of Prudential’s successful Consumer / Industrials Industry Practice Group. David holds an MBA from the J.L. Kellogg Graduate School of Management at Northwestern University and a BA from the McIntire School of Commerce at the University of Virginia. David lives on the northern edge of Atlanta with his wife and their large group of friends. When they aren’t there, you can find them at their cabin in the North Georgia Mountains or at the Gulf Coast. David’s occasional night job is sharing useful content and experiences that his wife can employ as head of her direct-selling company. It is also a full-time job keeping up with the travel, work, and school experiences of their two young adult daughters. David enjoys playing golf and tennis and wishes he could play more often. He is the author of “Swing Thoughts,” a book observing the intersections of golf and faith. He delights in his role as “ops guy” for a men’s retreat ministry Souly Business, which has hosted over 50 weekends and engaged with almost 4,000 men. During the fall David remains a steadfast fan of the Tennessee and University of Virginia football teams, and believes weathering the ups and downs of the seasons is great training for his chosen profession.